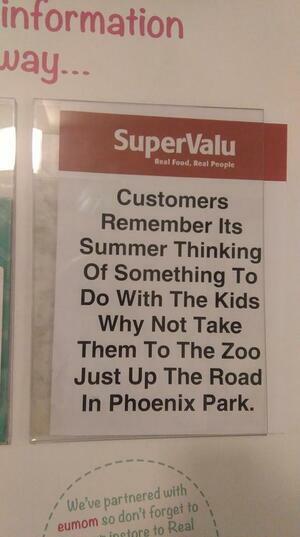 This grammatic mess has been on display in @SuperValuIRL Heuston since June! Oh the humanity! Posted in Misc and tagged grammar, sign, SuperValu at 9:45 am on August 18, 2015 by Broadsheet. This is a teaser campaign for the new musical, Abaí Get Your Marker ! Are there people who read it to whom it makes perfect sense though? Maybe those of us who need to mentally add punctuation are the ones with the problem? it was obviously written by someone 300 years old hence the capitals at the start of each word. I can read it, understand it too. You simply need to deprive yourself of sleep, free time and all rational conversation and then it shall all come clear. Surely we can have a little stream of consciousness in the city of Stephen Dedalus? Yup That Seems About Correct. A new benchmark has been set. I’m not bothered working it out but I would assume it’s an anagram for ‘trac pu kcip” which of course is “pick up cart” backwards. They are trying to encourage you to pick up a shopping trolly (or shopping ‘cart’) rather than a basket so you will buy more produce. Cristo… St… Someone obviously trying to sneak in subliminal pre-Vatican II messages to the community. Grossly understaffed that place, as well as under-punctuated. 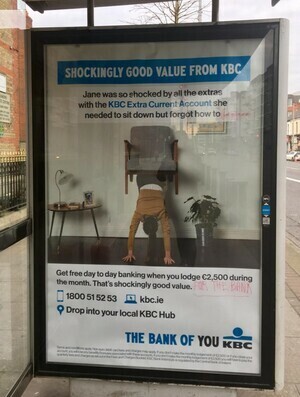 As a side-note, it does seem that literacy levels in Ireland are pretty bad. 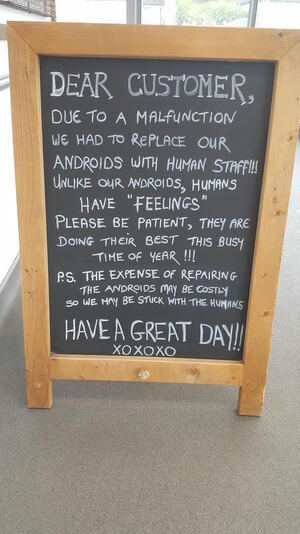 Why do people still use text-speak online when the computer highlights and offers to fix your bad spelling? !